Edition 2 in the Brainerd/Baxter Strong Town Series. Click here to read the explanatory article for this series. 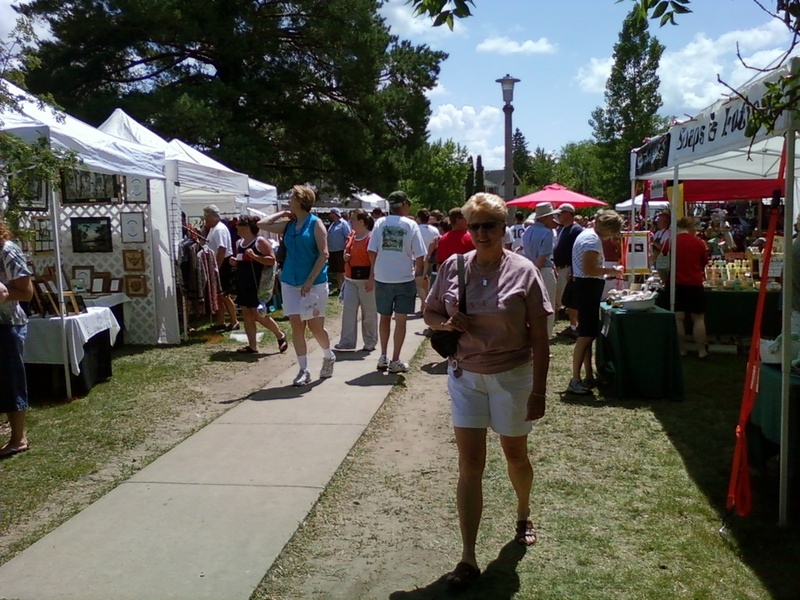 I mentioned that in Monday's post that I had enjoyed a picnic with friends and participated in Arts in the Park last week, both at Gregory Park in Brainerd. I happen to believe that Gregory Park is the epicenter of where a Strong Town movement in the City of Brainerd could begin, just as it was once the epicenter of the community in a different era. That discussion is for another post; this post is going to focus on one of the more simple ideas for building a Strong Town, that being walkway design. 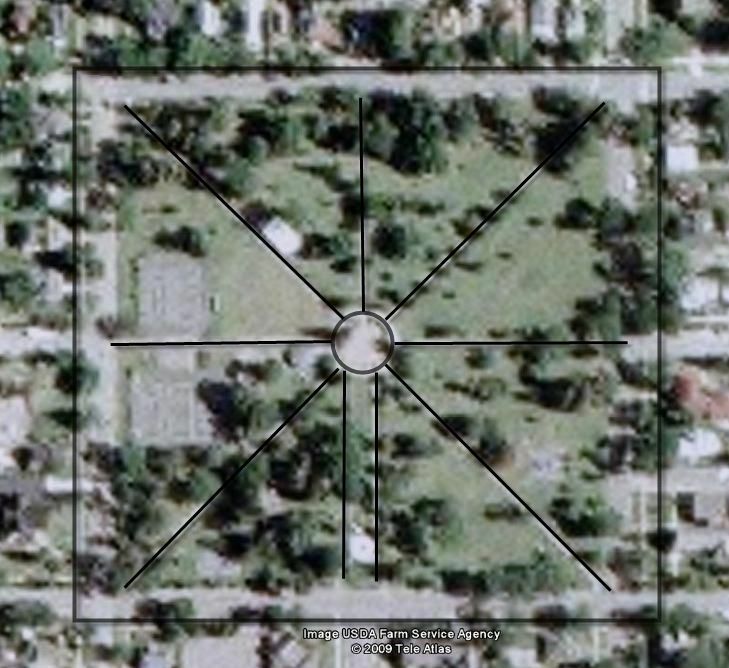 Gregory Park is designed in the classic manner, with walkways beginning at the edges of the park directing activities towards the center hub. In this way, someone walking on their daily commute could use the park as an efficient pass through, while visitors could enter in various locations and then meander to different areas or make their way to an activity located at the center. It is a beautifully designed and located park with a ton of potential. Unfortunately the walkways were designed by someone using a engineering design manual and not someone who understands how to design for pedestrians. One does not "meander" in a four-foot wide sidewalk; that is, unless you are the only one on the sidewalk (which sadly would often be the case, the park has become so uninviting to those around it). At no time is the absurdity of the walkway width more apparent that at Arts in the Park. This is a random photo I took in Gregory Park on July 5, 2009. I apologize to the woman in this photo, whom I do not know - I was getting a picture of the walk and the people on it and did not realize she would be featured so prominently. Notice how the grass is all nasty on the edge of the walk and how two people can barely pass each other. It is not scaled for people, despite that being its only function. While the displays are appropriately spaced to form a nice pedestrian corridor, the walkway consumes only a fraction of this space. The remaining area is grass trodden to dust, no doubt angering the worker whose job it is to maintain this area, making him likely to curse the pedestrian for his transgression. Incidentally, it is not Arts in the Park attendees that ruined this grass - it has always been this way. The walk is too narrow, and it is not the pedestrians' fault. There is a great story about Walt Disney in the early days of Disneyland involving walkways. He was walking the park one morning before the opening and saw some of his staff erecting a fence. He asked what the fence was for and the crew member told him that people had been cutting across the grass and using the area as a short cut. The fence was to keep them on the walkway. Disney not only made them tear down the fence but made them remove the old walkway and put up a new one where people were actually walking. He told them to watch what the people do because they know best. Gregory Park in unquestionably for people, not cars. There should be no controversy with engineers about building it and scaling it with people in mind. When these sidewalks are someday replaced, they should be ten to twelve feet in width so people can travel in each direction and not be forced off the walk. If the money became available today, I would add an identical four-foot walk to each side of the existing walks. If the money comes in dribbles, phase it in. It is the first critical step in reviving this park, which is a first step in reviving this town. If you want to induce people to get out and participate in the community, both socially and economically, then scale it and design it for people to do so.